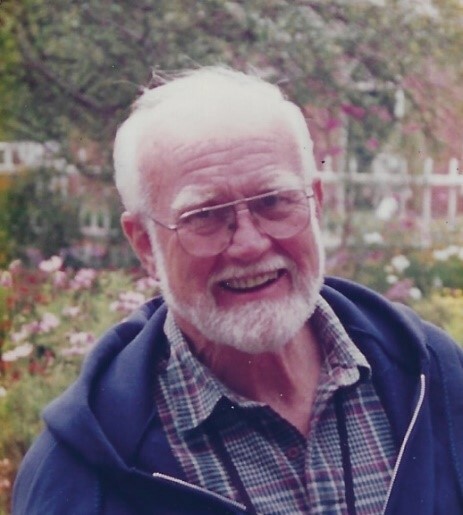 Obituary for Jacob Edward Petersen | Compassionate Funeral Care Inc.
SARATOGA SPRINGS - Jacob Edward Petersen died peacefully on January 11 after a long and active life. Jacob was a beloved husband, father, and grandfather. Born near Lancaster, PA in 1928, he was the son of late Catherine (Zook) and Thoralf Roh Petersen. The third of four children Jacob was raised in Braintree, MA, where he attended Braintree public schools. After graduating high school at the age of 16, he attended and graduated from Lehigh University in Bethlehem, PA with a BS in Mechanical Engineering. After college he worked at the Hamilton Watch company in Lancaster PA. He joined the US Army in 1949 where he taught watch repair and artillery maintenance. After his military service he began work for RCA in Camden, New Jersey. He married Sylvia (Koshko) in June 1955 and started their family in Cinnaminson, New Jersey. He and Sylvia raised two boys. Jacob transferred to RCA in West Windsor, New Jersey working on the design of weather and telecommunications satellites. He continued his education and eventually earned a Masters’ Degree from Drexel University. Jacob retired from GE (formerly RCA) in 1989 after 35 years of service and began teaching computer aided design at a local community college until Sylvia passed away in June 1995. He began to travel and on an Elder Hostel trip met Ethel (Cosey). They were married in 1998 and moved to Brandon, Vermont to be closer to his siblings and her relatives. They enjoyed traveling going on multiple trips in the US and Europe. While at home Jacob enjoyed woodworking as well as designing and building working wooden clocks. He and Ethel relocated to Macedon, NY and later moved to the Saratoga, NY area. Jacob leaves behind his wife Ethel of Gansevoort, New York, son Daniel and his wife Mary of Philomath, Oregon, and son David and his wife Janine of Erie, Pennsylvania. He also leaves his grandchildren: Anna Rose Petersen of Philomath, Oregon; Scott Petersen of Columbus, Ohio; Kathryn Petersen of Riverton, New Jersey; Allison Fullerton of Riverton, New Jersey as well as two great grandchildren, and many nieces and nephews. He was predeceased by his sisters Helen Bowker of Massachusetts, Mary McGill of Florida, and brother John Petersen of Massachusetts. Memorial services will be private. Donations in Jacob's memory may be sent to the American Heart Association.